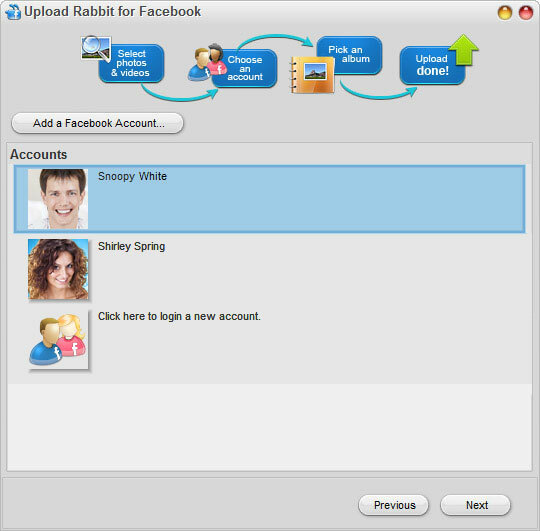 Upload Rabbit is free app which allows you to share or upload Photos, Videos on Facebook with right click or Drag and Drop. Upload Rabbit offer elegant way to upload photos to existing album or new created album. 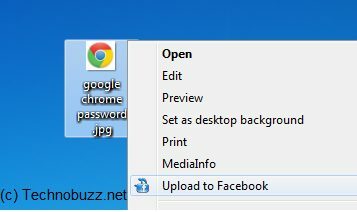 With help of this freeware app you can upload batch of file with drag and drop or Right click, without opening Facebook on browser. This one is one of he best and easiest way to upload videos and photos on Facebook. It also supports multiple accounts and you can switch among them by just one simple click. So that means without frequently logging in and out on different Facebook accounts you can upload photos and videos. With Upload Rabbit for Facebook, just right-click on the photo you like and choose “Upload to Facebook” near bottom of the menu, then it will be added to the upload queue. Of course you can add more photos and upload them together with clicks. 1. Fast:– Supports for uploading photos & videos directly from your computers to Facebook without logging in via browser. 2. Easy:– Drag-and-drop or right-click! The easiest way to upload single or even an entire folder of photos or videos to Facebook. 4. Powerful:– Create new album, post on wall, change Profile picture, or even switch among multi-accounts–all done within clicks. 4. Amazing:– Find interesting pictures while browsing? Do not hesitate, right-click and share them with your Facebook friends immediately!